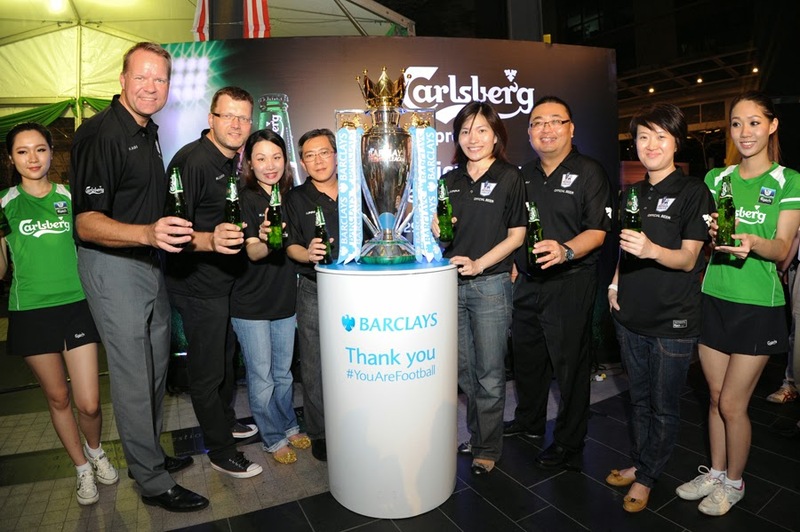 Henrik Juel Andersen, Managing Director of Carlsberg Malaysia with the official BPL Trophy at Carlsberg’s BPL Campaign Launch & Trophy Viewing. Mr Kristian Dahl, Supply Chain Director of Carlsberg Malaysia, Mr Lew Yoong Fah, Chief Financial Officer of Carlsberg Malaysia, Ms Felicia Teh Sook Ching, Human Resource Director of Carlsberg Malaysia, Mr Henrik Juel Andersen, Managing Director of Carlsberg Malaysia, Ms Juliet Yap, Marketing Director of Carlsberg Malaysia, Mr Gary Tan, Sales Director of Carlsberg Malaysia, Ms Pearl Lai, Corporate Communications and CSR Director of Carlsberg Malaysia with the official Barclays Premier League Trophy at Carlsberg’s BPL Campaign Launch and Trophy Viewing. (L to R) Mr Henrik Juel Andersen, Managing Director of Carlsberg Malaysia, Mr Kristian Dahl, Ms Felicia Teh Sook Ching, Human Resource Director of Carlsberg Malaysia, Supply Chain Director of Carlsberg Malaysia, Mr Lew Yoong Fah, Chief Financial Officer of Carlsberg Malaysia, Ms Juliet Yap, Marketing Director of Carlsberg Malaysia, Mr Gary Tan, Sales Director of Carlsberg Malaysia, Ms Pearl Lai, Corporate Communications and CSR Director of Carlsberg Malaysia with the official Barclays Premier League Trophy at Carlsberg’s BPL Campaign Launch & Trophy Viewing. Cheerleader performances throughout the night set the mood at Carlsberg’s BPL Campaign Launch and Trophy Viewing.